The Department of Better Technology helps governments deliver great software to the people they serve. Screendoor Screendoor Everything you need to build your online form and manage the process behind it. Organize and discuss responses with your team and automate routine business tasks. Rewiring Government Rewiring Government A blog, podcast, and newsletter publishing news, interviews, and essays on digital transformation in government. Open Source Open Source We are strong supporters of the Federal Open Source Policy and give back to the developer community by releasing projects to the public. Everyone is worthy of honor and respect. From our customers to our colleagues, everyone with whom we interact deserves a basic level of decency. We place ourselves in other people's shoes and adjust our behavior to treat them in a way that honors their dignity. We help each other be our best. We want to empower each other to do our best work and help each other feel like valued members of the team. When we provide critique or feedback to our colleagues, we try to build them up, not tear them down. We always have room to make progress. No matter how far we've come, there's always room for us to be better. We set a high bar for everything we do and aspire to excellence. But once we achieve a seemingly impossible goal, we keep going. We strive to stay curious. We question the way things are as a way to engage with the world. We actively seek information and experiences that might challenge our perspectives. We can't do our best work without having time to live. We are passionate about our mission and what we do, but we recognize that our work does not define us. We value work/life balance and give each other the space and time to attain soundness of mind. 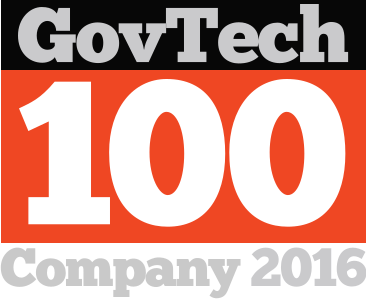 We’ll send you the latest news in govtech each week.